People have been eagerly awaiting the launch of Ikea and Sonos’ Symfonisk product range since the collaboration between the companies were first announced. In the past week, the Swedish furniture giants provided an earlier than expected glimpse of the finished version of the first of those products. 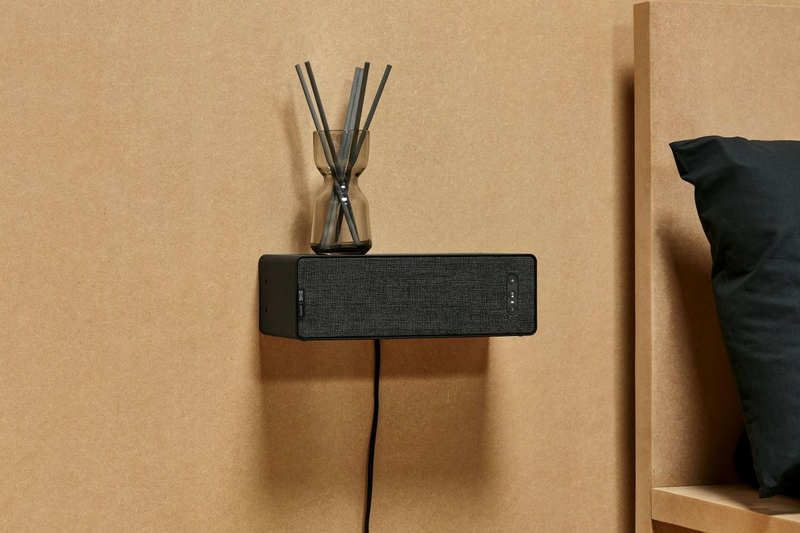 Ikea and Sonos had already revealed that the first Symfonisk product to be launched would be a wi-fi bookshelf speaker. It was due to be unveiled on April 9th, before going on sale worldwide sometime in August. The first snaps of the Sonos-powered bookshelf speaker, however, were made available this week. They accompanied an Ikea blog post which revealed that the Symfonisk Wi-Fi Bookshelf Speaker was one of seven of their products to receive a prestigious Red Dot Award. The final design of the new Symfonisk speaker can be seen in the photo at the top of this post. It is essentially a slightly polished version of the original prototype displayed last year, with a subtle Sonos/Ikea tag added at the top. Ikea’s sneak peek photos also revealed one further thing about the new speaker. That was that it can stand upright or be mounted either vertically or horizontally. That fits with Ikea’s philosophy of functionality and will make the speaker suitable for a wider variety of homes. It’s still unclear just home much the Symfonisk bookshelf speaker or other products in the range will cost. Sonos and Ikea have both continually promised, however, that the products will come at ‘an affordable price’.